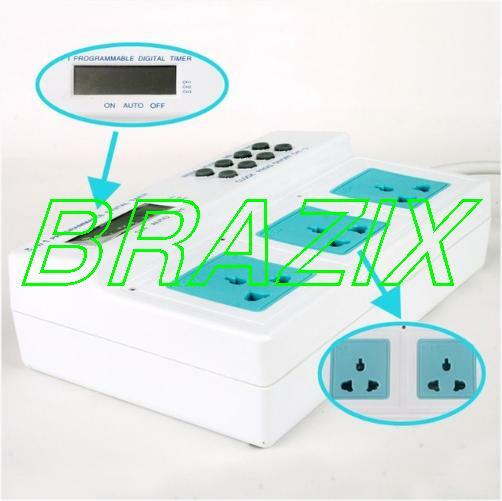 - Three outlet plugs individually programmed. - Input Voltage is AC 105-135V 60Hz. - Maximum Total Resistive Load is 15A. - 24 Hr Programming with a Maximum setting time of 168 Hrs. - Time is displayed in military time format (24 Hours). - Up to 15 ON and OFF switches per day. - Option to program individual days or 3 different weekdays groups. - Increments of one minute programming. 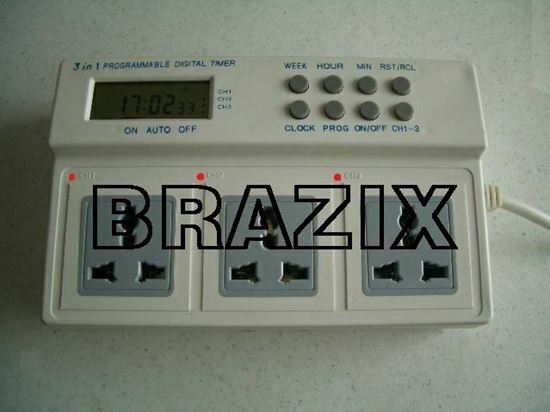 - Easy to read LCD display. - Accuracy: less than 0.25 second per day. - Operating temperature: -15 +60 C.
- For fish tanks you can have the skimmer on one plug, lights on another and pumps on another plug. All controlled individually with its own schedule.